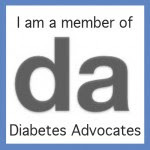 If you read many diabetes blogs, then I'm sure you've heard about what Meri, Ryan, and her wonderful boys are going through. It breaks my heart. Meri is one of my most favorite people. And even though we've never met, I feel like I know her. If you aren't familiar with what's going on, please take a moment and read about it in Meri's own words. The family is asking for prayers, especially today. Please keeps them in your heart. 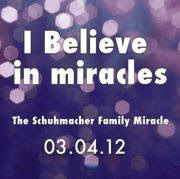 You can like the Schuhmacher Family Miracle Facebook page for updates. If you'd like to help the family with medical expenses, you can donate here. And keep praying, as we cling to hope. Beautiful song! Clinging to hope with you. This is a really lovely post, Jess.